This website emerged from the efforts of the Tibetan Buddhist teacher, Chokyi Nyima Rinpoche. Rinpoche’s wish is to make the Buddha’s teachings available to everyone. The teachings found here offer advice on how to live a meaningful life of compassionate wisdom in accordance with the Buddha’s view. Here you can access talks by Chokyi Nyima Rinpoche, such as his Heart-to-Heart Advice, gain teachings on Buddhist Classics & Philosophy, and engage in the gradual meditation program, Tara’s Triple Excellence. Where does suffering & happiness come from? With the launch of our new website in July, 2016 we have started a new category of short talks, aimed to provide a soft introduction to Buddhist thought and meditation. You can find more in the Introduction to Buddhism section. This teaching is the first of a series of nine sessions that Chokyi Nyima Rinpoche gave during a fall seminar at Ka-Nying Shedrub Ling Monastery in 2012. You can find the whole set in the Sadhanas & Rituals section. Tara's Triple Excellence is a multi-level gradual online meditation program. This talk is taken from the First Excellence, week 9. For more information about this program, please go to our Tara's Triple Excellence section. This talk to a group of international students was given at Ka-Nying Shedrub Ling Monastery in 2016. You can find more heart to heart advice in the section Talks. A collection of excerpts from teachings by Chokyi Nyima Rinpoche on fundamental Buddhist ideas. These pithy talks are presented in English, and are short and digestible. 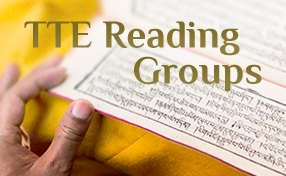 This is a new section on DharmaSun and we are committed to steadily expanding the content offered here. Tara’s Triple Excellence is the entire Buddhist Path in an easily accessible format. Structured as a step-by-step online program, it guides us through the three vehicles of Buddhism with daily fresh teachings and contemplations. It is accessible for both beginners and seasoned practitioners. Vajrayana practices can be complex and hard to follow. This is a collection of explanations and instructions on various Sadhanas & Rituals. The liturgy of Shakyamuni – The Treasury of Blessings – is the first release in this new section on DharmaSun. We are committed to making more teachings available soon.